We’ve previously discussed the various ways virtual reality (VR) can potentially change the face of education at different levels and areas of expertise. Of the many fields this technology is disrupting, medical training is one of the most exciting in terms of application and adoption. Whether or not you believe in the potential of VR, medical schools are already in the process of developing the technology to improve their curricula. In 2015, the Western University of Health Sciences in California became the first American medical school to offer VR-assisted training to its students. That was the year that the university opened its J and K Virtual Reality Learning Center, which used headsets like the Oculus Rift to give medical students VR tours through the human body. It’s similar to how both elementary and high school students have begun using VR to visit places that are otherwise inaccessible via conventional means, such as the inside of a live volcano and the surface of Mars. Since then, other institutions have followed suit. In April of 2017, the University of Nebraska Medial Center (UNMC) made an even bolder move that illustrates the medical community’s commitment to using VR as a training method for its students. Using grants and donations via the University of Nebraska Foundation, the Dorothy B. Davis Foundation of Omaha, and public funding from the US Department of Health & Human Services, UNMC began constructing its Omaha-based virtual and augmented reality center to the tune of $118.9 million. The facility is known as the Davis Global Center, named after a longtime UNMC physician who pioneered the incorporation of new tech to improve medical learning in various ways. 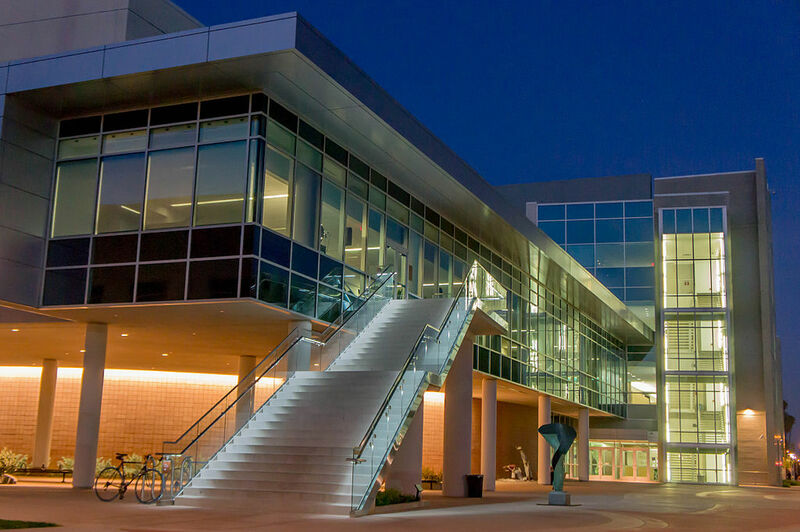 According to UNMC, the Davis Global Center houses the university’s Interprofessional Experiential Center for Enduring Learning (iEXCEL) program. Their goal is to expose medical students at all stages of learning to clinical training exercises as well as surgical skills training. This will be made possible by advanced and realistic simulation technologies, augmented reality, and even holographic technologies. It is UNMC’s hope that the 192,000-square-foot facility will be integral in the forward transformation of medical training in the world, much like how aviation simulations propelled training in the flight industry years ago. As previously described in Virtual Reality and its Educational Possibilities: Constructivist learning, VR-assisted training provides new and practical learning opportunities that are simply impossible through traditional training methods. These opportunities include simulated situations in which students can engage in repeated practice and fail as much as they need to. As you can imagine, this can allow doctors, nurses, and other medical professionals in training to undergo extensive, realistic, and consequence-free virtual experiences before they actually perform medical procedures in the real world. This endeavor can make medical training not only safer, but also more efficient, and the best part is: it’s already happening in many American medical training facilities. This is good news, especially considering the growing demand for medical professionals globally. There is always a steady demand for doctors everywhere in the world, and an even larger demand for registered nurses – a demand which Maryville University estimates will be increasing by approximately 15% between 2016 and 2026. That’s twice the average growth rate for all other careers, marking an exciting time for healthcare and medical training here and abroad. Hopefully, the recent developments in VR-assisted medical training will be enough to prepare the industry and its professionals to take on this growing global demand.